Zynga’s newest addition to the ‘ville’ family is The Ville. 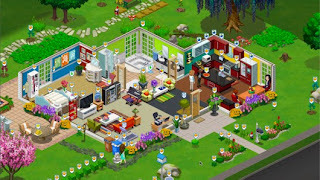 The company describes it as the “culmination of years of experience developing social games while delivering on innovation” in FarmVille, FrontierVille, CityVille, CastleVille, and YoVille. Go to Edit Request > Expand params > Expand Changes > Expand  ? (Just check and make sure it's the "add_house_value" line) Watch the video to make sure. You can BUG your game if you choose the wrong line. Change to any value you want. Now you have very high House Value. Watch the video if you are unsure.